Thanks to everyone who has emailed me with their feedback, it’s great to hear how the course has helped you progress with your garden. I know some of you prefer to leave comments directly on this site, so please do so here. I am an avid gardener and have enjoyed puttering around with plants for years but with the purchase of a new home I had the additional challenge of laying out the landscape design as well as plant design. I wasn’t thrilled with the way it turned out but never could figure out the ‘why’ of it. I kept moving plants around, trying this and that, but no improvement. I bought this course and worked through the easy to understand principals and after minimal effort I new EXACTLY why my garden never felt right! I could pinpoint the problems with it and was then able to draw up a new design, and implement it seamlessly, through following the advice and teachings of this course. I highly recommend this for anyone who is interested in designing and laying out their home garden…large or small…any taste….this will be a big asset in your quest for creating a spot of heaven in your corner of the world! Hello, we are in the process of building our house and so, while the house is being build, I have been searching for ideas on doing our garden, as we are literally starting from scratch. We have a very steep slop of just over 2 acre of land. I have been reading a lot of books and magazines on garden design ideas and I also try and learn to design and survey the garden from books but somehow, when trying to put it together seem a very daunting task. 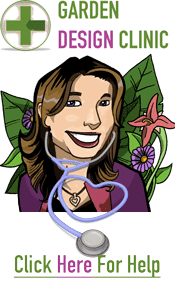 I came across Rachel’s website a little while ago and I was eager to do a course with her but she was not offering anything then, so, I went on her “wait list” and when she put out The Great Garden Formula” course, I jumped at the chance and took the course. As a complete beginner, I am very pleased that I have done the course. The course was set out in different modulars and different videos were sent out to me. Although I would have liked to see more videos but overall, I have learnt much more from this course than I have from all the books I have on my bookshelf. My husband was also surprised to see a proper scaled design on paper instead of ” just ideas” . I hope we will have the house completed by early 2011. Meanwhile, I am starting to work on the garden with my newly learnt design skill. The other thing that I enjoyed learning with Rachel is that she is very encouraging and although I did not really ask any questions regarding to the course because the videos and the modulars were very clear but she responded to each of my email very quickly and therefore I have no doubt she would have answered my queries if I had any. During the course, I was really looking forward in seeing her emails in my mail box ( am still do). To sum it all up, I really enjoyed the course and highly recommend the Great Garden Formula for beginners and would definitely be interested in learning more about garden designs with Rachel in the future . I hope it will be the same for you. Thank you Eileen and Tammy, really glad you’ve enjoyed the course and have got so much benefit from it. There will be plenty more video tutorials added to the course for the deluxe version of it which comes out soon. Because you’ve taken advantage of the discounted trial phase of the course you will get access to the deluxe version with the extra video & audio tutorials. This offer applies to anyone who purchases the course before November 2010. So if you haven’t already, buy it now before the price triples! I started gardening in 1996. Just picked up my shovel, started digging, and bought plants (with way too much variety). Over the years, I’ve tried to figure out how to finesse garden designs, reading countless magazine articles and staring at the pictures, but it never came together for me. I’ve enjoyed Rachel’s post on the Successful Garden Design website, particularly the videos. So when she offered a garden design course, I jumped on it right away. The light finally went on. I was focused on plants when I should have concentrated on people. You know, the creatures who will actually be *in* the garden (I choose plants for birds and pollinators as well, but they’re less fussy about where things are put). The best thing about the course is the video content. Watching a design take shape while Rachel explains the process made me realize it really isn’t horribly difficult to design a great garden. Attention, experimentation and the right teacher can get you there. Fantastic course, Rachel. Thank you! I have just joined the Great Garden Formula course and cannot believe how straightforward Rachel’s whole approach is. The whole process “works” and is brilliant. It is a most enjoyable oourse and I can hardly wait for the next video, module or tip to arrive ! I am in Australia and here I am now seeing we are extremely “edge driven” when it comes to the average garden. If not edge or boundary then it seems the garage and driveway dictate the rest of the garden …… no wonder most have absolutely no wow factor, mine included !! I am a gardener for work (for about 9 years), grew up in a very garden and plant orientated family and totally enjoy gardens, plants and anything to do with them. I just completed a Horticulter Certificate of a basic level but started looking for something on designing gardens as that is where my passion lies. I came across Rachel’s site via google and as though it was meant to be the course was on and I was in !! The introductory info suited exactly what I was looking for – no frills or padding just an honest and down-to-earth approach to solving my long time concern as to why some gardens work and others don’t. I can now say that Rachel’s course has exactly hit the nail on the head as to why designs work – the principles and processes are so well explained and the videos bring it together beautifully. I love garden and landscape books etc but somehow the information in them never quite jells, something seems to be missing. Rachel dosent hold back on the essentials that make it all work. Absolutely well worth it, thank you Rachel.